After a six year hiatus Mr.C’s Superfreq label is back with a new single from the man himself. 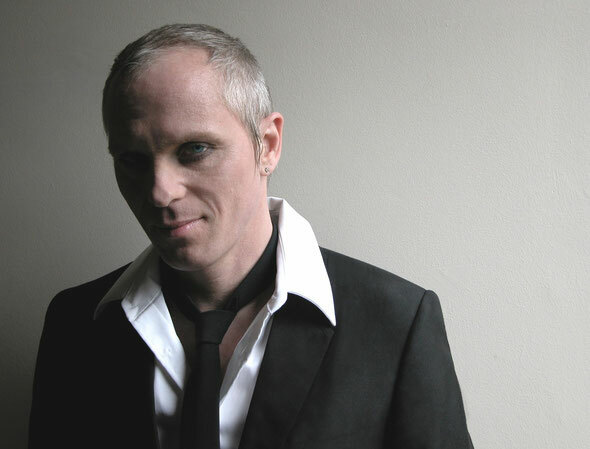 The Superfreq label was originally launched by Mr.C and Luke vB back in 2004 as an extension of Mr.C’s Superfreq club brand born from the monthly night at his legendary club, The End. Music from Mr.C alongside productions from the likes of Levon Vincent, Adultnapper and Barbq kept the label on the edgier side of electronic music before it came to a halt in 2007. Now with a new label partner in the shape of David Scuba, Mr.C and Luke vB are back. To launch the musical proceedings Mr.C offers up a brand new single entitled ‘I’m Gonna Give You Some’. The single kicks off with the original version… a dark edged, pulsing affair that brings a brooding intensity to Mr.C’s lyrical content. The first of the two remixes sees label partner and Superfreq LA resident DJ, David Scuba, join forces with Dance Spirit (a new moniker from the Android Cartel crew) to rework the track. The mix journeys into tech infused hypnotic house territory with Mr.C’s vocals leading the charge with swirling synth lines over a tightly wrapped rhythm section to create a nice alternative version. To complete the package David Scuba takes the reins solo and drops a mix that brings a dub techno feel to the song’s structure. With Mr.C’s brand new album ‘Smell The Coffee’ poised for release in the spring and a heavy schedule of Superfreq singles in the pipeline, this release gives a good insight into the future of the label. It’s out today.